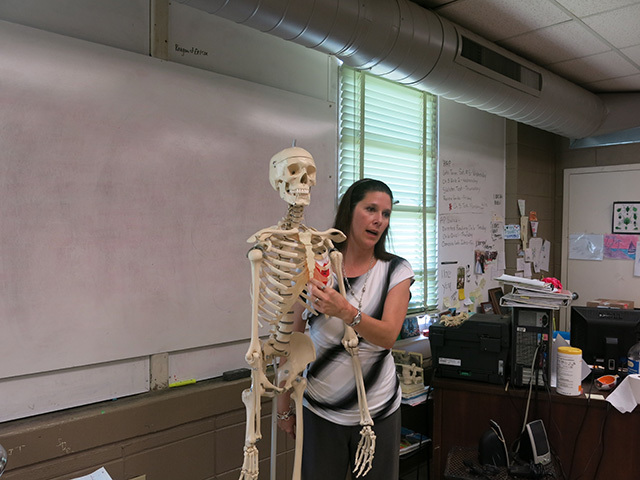 A wildlife enthusiast for as long as she can remember, West Lauderdale High School biology teacher Edith Fogarty has been able to share her love of nature and its creatures with her students. 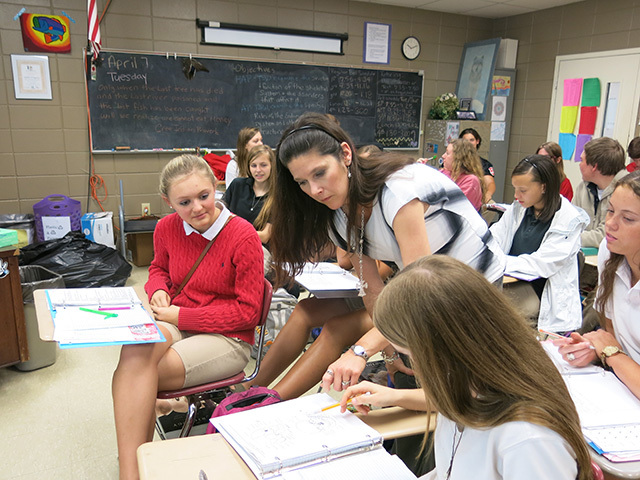 Fogarty has been named April's Golden Apple Award Teacher of the Month. "I didn't expect this," the honoree said during a surprise announcement at the school. "It's kind of shocking, but I guess they realized that I do try to do more for my students, who I call my children." of the Year award, which will be announced May 28. The winner will receive a $2,500 prize and a $2,500 scholarship for a graduating senior of the winning teacher's choice. An Indianola native, Fogarty studied biology at Northwest Community College in Senatobia and Mississippi University for Women in Columbus. 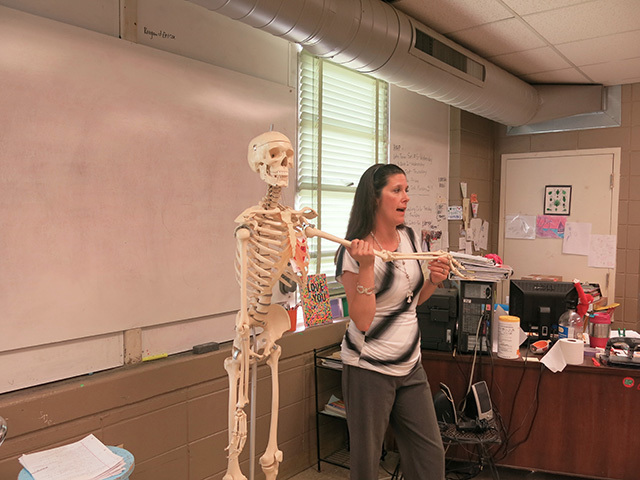 After finishing at MUW, she landed a biology teaching position at Velma Jackson High School in Madison County. She later pursued her master's degree in wildlife and fisheries from Mississippi State University. Fogarty spent two years teaching at West Point High School before being hired at West Lauderdale High School. 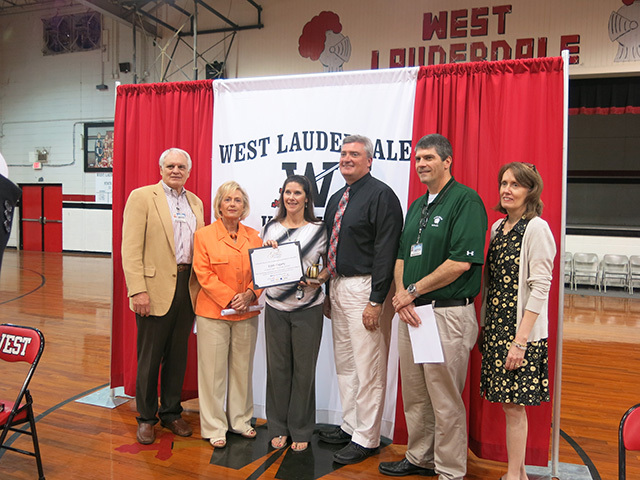 For West Lauderdale Principal Kevin Cheatham, it was an easy decision to add her to his academics staff. "She's a great teacher and I have found the most important thing for a great school is to hire great teachers," Cheatham said. 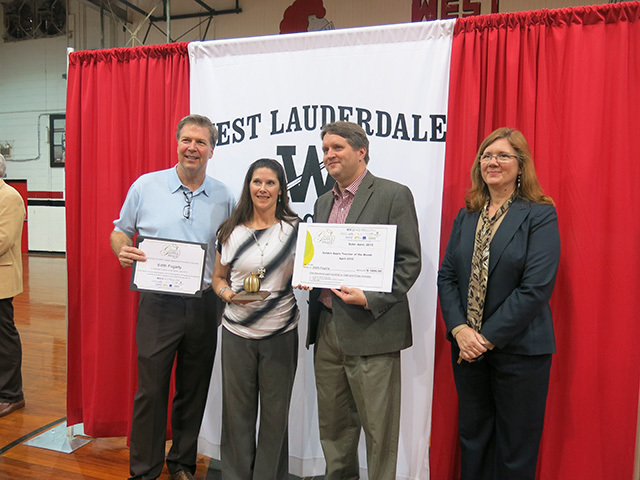 "That's the biggest reason why West Lauderdale continues to be successful." West Lauderdale student Maddie Johnson said Fogarty has made a big impact in a short time. "She has been a huge impact in my life, and I have only had her for one semester," Johnson said.